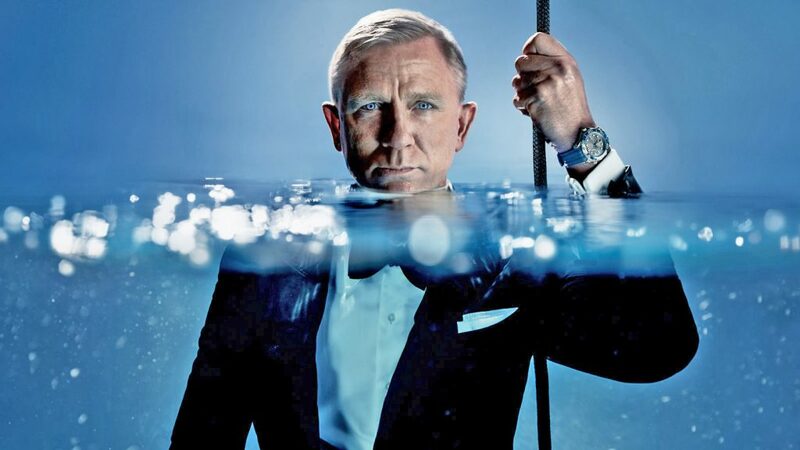 Last month Omega released a new Seamaster Diver 300M watch with a photo of Daniel Craig submerged in water wearing a Tom Ford dinner suit. When we see Daniel Craig in a dinner suit, we know he’s dressed as James Bond, and this is the most recent look we have had at Daniel Craig as James Bond. It’s famously part of a James Bond actor’s contract that they are not allowed to wear black tie outside of the role, which goes back to Pierce Brosnan. 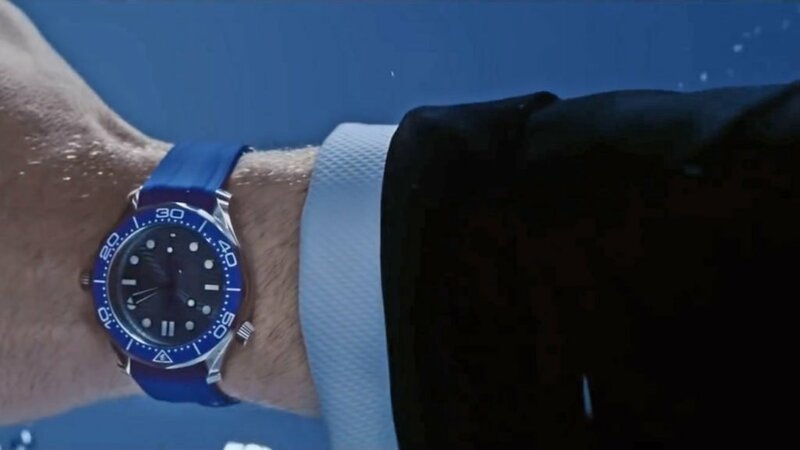 This past weekend on 22 September 2018 Omega released a video component to their campagin for the new line of watches. Seeing Daniel Craig in a Tom Ford dinner suit in this campaign likely signifies Tom Ford’s return in Bond 25. The dinner suit for this shoot—most certainly along with a number of duplicates—was most likely provided for free, since I believe it is unlikely Omega would pay thousands of dollars to ruin Tom Ford suits when they could ruin less costly suits. If Tom Ford is providing dinner suits for Daniel Craig as James Bond, they will likely be continuing through Bond 25. Daniel Craig’s Tom Ford dinner suit is very classic in its style. Though the colours in this image are not true to life, the dinner suit appears to be midnight blue and likely is midnight blue. The single-breasted dinner jacket has one button at the waist and medium-width satin-silk-faced peaked lapels. The shoulders are straight with light structure and have roped sleeve heads. The cuffs have satin silk gauntlet cuffs and likely five cuff buttons in the standard Tom Ford fashion. He leaves the last cuff button open, which allows the cuff to flap around in the water. The hip pockets are jetted and the breast pocket is Tom Ford’s typical barchetta-shaped welt. There are double vents in the rear, a more classic style than the single-vented dinner jackets that Daniel Craig wore in the last two films. The trousers have a flat front, side-adjusters and a satin stripe down the side of each leg. 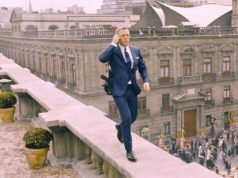 The suit has the tight fit we have come to expect from Daniel Craig’s Bond, which is most noticeable with a chest that pulls open. The rest of the details of the fit are difficult to determine underwater. When swimming in a suit, a tight fit has a few benefits. 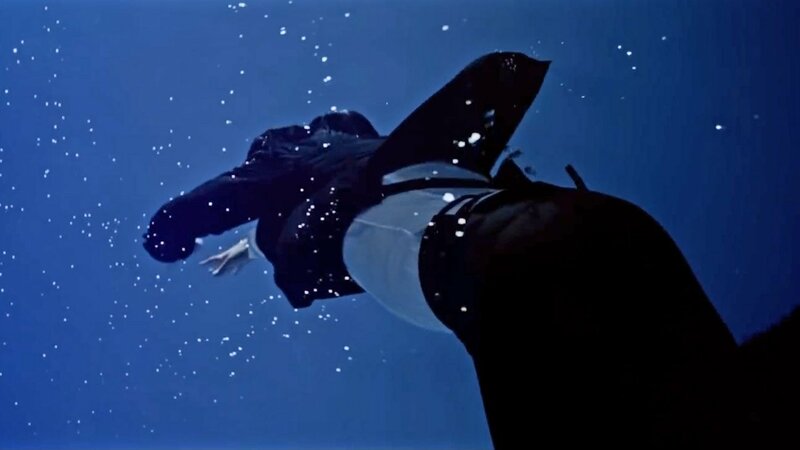 The idea of well-draped tailoring is irrelevant when swimming because a suit cannot drape properly when submerged underwater. 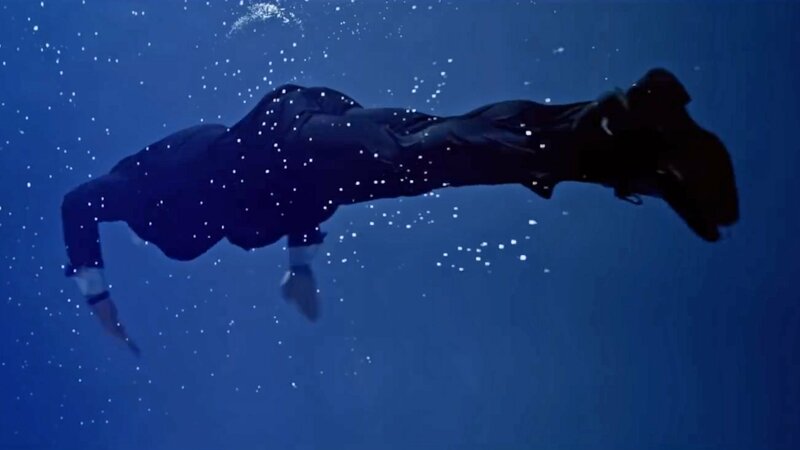 A very close fit throughout will prevent the suit from looking baggy in the water, which is how a normally well-fitted suit may look in the water. With less cloth a suit will not feel as heavy in the water, though it will only feel marginally lighter than a more traditionally fitted suit. On the other hand, swimming in a suit with a restrictive fit must be even more difficult than swimming in a well-fitted suit. Daniel Craig’s white dress shirt has a cotton marcella semi-spread collar, a cotton marcella bib with a French front and square cotton marcella double cuffs with round double-sided cufflinks. Though marcella shirts typically fasten with studs down the front, this shirt fastens with buttons, likely because studs would not be as reliable underwater. The body of the shirt is likely cotton poplin, and it has rear darts for a trimmer fit. A marcella shirt was probably chosen over a pleated shirt because pleats will not stay crisp in water. With the dinner suit he wears a black thistle-shaped bow tie, a black cummerbund and a square-folded white cotton pocket square. The cummerbund is from Tom Ford, and the other items are also likely to be from Tom Ford. The shoes are black lace-ups, but the details of the shoes are difficult to see in the video. This dinner suit is possibly the same midnight blue dinner suit (or at least one in the same style) that Daniel Craig wore in May 2018 when filming a commercial for Heineken in Spain. This classic black tie outfit would be welcome to see in Bond 25, just as long as the fit is improved! 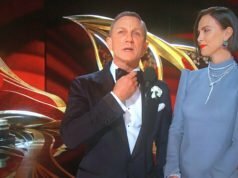 There is still no costume designer announced for Bond 25. Not necessarily. On a shoot of this size and complexity several tens of thousands of dollars on suits is a small piece of the budget. Worthy of note is the lining strap under the double vent. This supposedly keeps the sides of the jacket looking clean and from flaring out too much, but in my experience it’s not really worth it and can get in the way. I’m about to have the ones on two of my MTM suits taken out. Tom Ford seems to have this feature on some of their double vented jackets but not others. This feature is useful here at keeping the skirt of the jacket together, though vent-less would be ideal for looks in this ad. Matt, what’s with the designers constantly having Craig wear suit that doesn’t appropriately fit him??? Where’s the logic in this? Why isn’t anyone informing him his suits are not appropriate for his build? That poor, poor dinner jacket – drowned for the sake of shilling a few more watches! (hopefully the poor thing was offered the proper obsequies, burial at sea et al, after the cameras stopped rolling). What are your thoughts on Daniel Craig’s pocket square here and the way he has it folded in his barchetta pocket? I’ve never been really happy with my attempts to keep a crisply folded pocket square in a curved pocket. By the way, great write-up (as usual) and I’m amazed by your ability to write with a straight face about swimming in a dinner suit! The folded pocket square here is not the very neat fold we usually see on Craig’s Bond (which has some help for a board inside the pocket). This fold has a more natural look, which I think is very nice, and it fits very nicely inside the pocket. If you want a very crisp fold, use a piece of cardboard inside your breast pocket. Otherwise, don’t worry about it being entirely perfect. Recently I had in hand the very watch featured in this ad. Really gorgeous but barely more than a variation from the previous, classic model. I can tell you that price is expensive but in Duty Free zone at Brussels Airport the price is cut in half. It was a tip just in case…..